Thanks to an anonymous donor, transportation is now significantly easier. 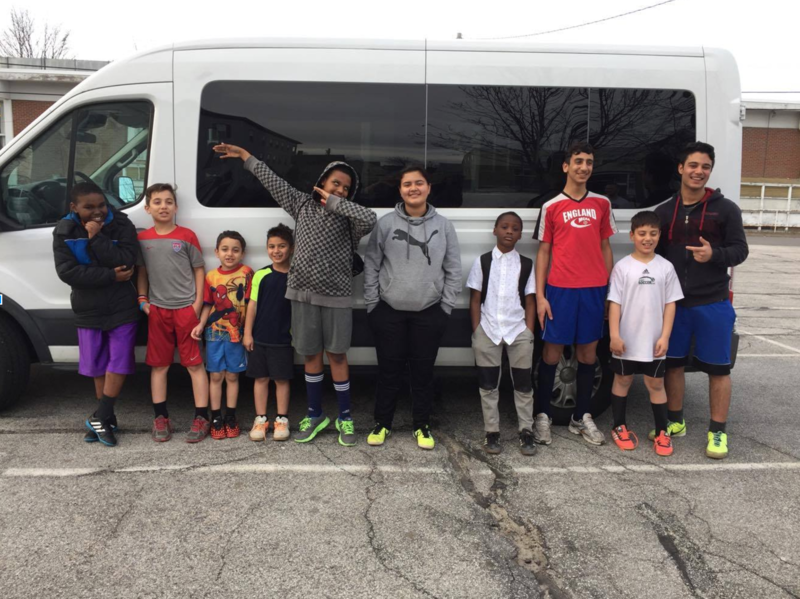 A year long lease on a 15 passenger van allows Director of Programming, Jaime Pendleton, to provide transport to kids who otherwise would not be able to make it to Inti. While most of the kids live in the center city, within walking distance, a handful do not. Among these children are a new immigrant family from Syria who are able to be a part of the Inti program thanks to the transportation that the van provides. The van came in, especially, handy during futsal season, when it was used to transport two full teams at once!